Pakistan is a vehicle constrained market; the demand is high but the supply doesn’t meet it, which causes long delivery times, or otherwise, pay the premium and get the car in real time. 2018 has been a rollercoaster for the local auto industry and for the consumers as well. 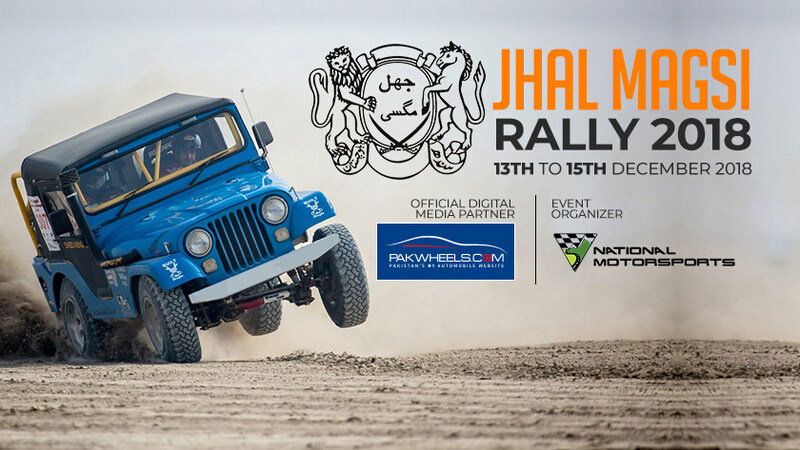 This year, the government banned non-filers from purchasing cars, there were multiple price hikes due to rupee getting devalued against the Dollar, but, as compared to 2017, the car sales remained high in 2018. When compared to 2017, contrary to the car sales, the sales of SUVs and MPVs were down in 2018. These factors have only affected the sales of high-end cars, and not the sales of passenger cars. To get a clear picture, we compared July-Nov 2017 and July – Nov 2018, as the ban on non-filers came into effect from July 2018. 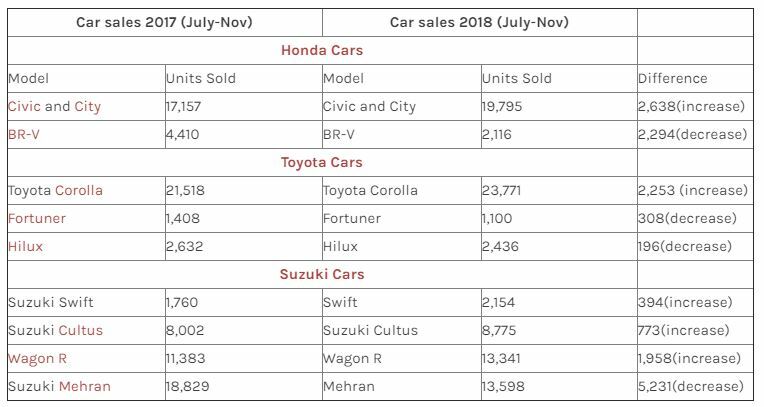 The above-mentioned data clearly shows that despite a ban on non-filers, multiple price hikes and rupee depreciation, the demand of passengers cars was high in 2018, however, the sales of Mehran was down. 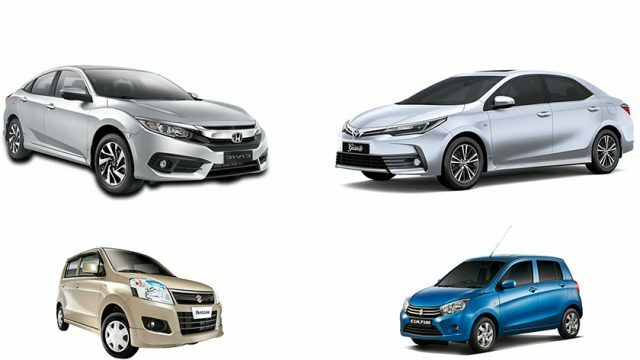 As the year is about to end, and people are curious to know that which hatchbacks and sedans were the top sellers in 2018 (Jan- Nov). Don’t worry, we’ve got your back! In 2018, with 49,840 units sold, Toyota Corolla topped the sedan segment, and on the other hand, in the hatchback segment Suzuki Mehran topped the chart; the company sold 37,600 units. Tell us, what according to you could be the factors that the sales of passenger cars went up despite the change in policy and multiple price hike?